Make yummy breakfasts for your family with this deal from Amazon! Right now they are offering the Black and Decker Family Sized Electric Griddle for $14.93 (regularly $39.99). 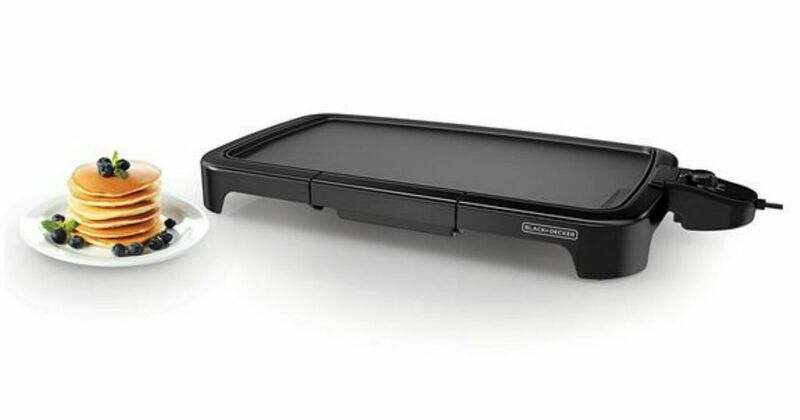 This griddle includes a drip tray for easy clean up and is great for making pancakes and more. Note: Prices on Amazon may change at any time. Shipping is FREE with Prime or with orders of $35 or more.